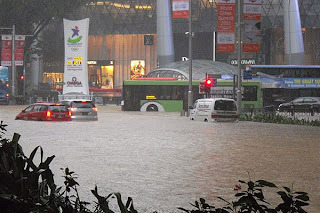 SHOPS and homes along Orchard Road, Bukit Timah and Thomson Road were flooded on Wednesday morning as heavy rains swelled up canals around the central areas of Singapore. In just three hours, between 8am and 11am, 100 millimetres of rainfall were recorded. That is 60 per cent of the average rainful for June. 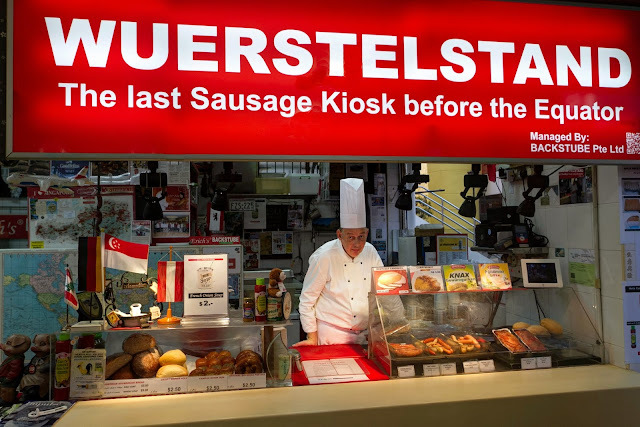 Hardest hit were the downtown areas, as businesses came to a halt, people scrambled for a way out, and the authorities swung into damage control. 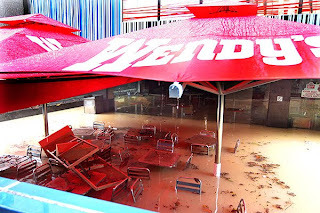 In some areas, the flood waters rose to half a metre, fully covering open drains, sidewalks and bus stops, creating traffic chaos, especially along Dunearn Road towards the city. 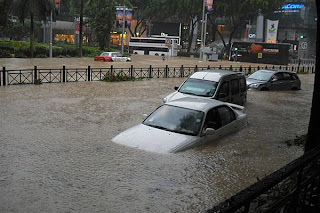 The basements of some shopping malls along Orchard Road were flooded, damaging some of the retailers' goods. 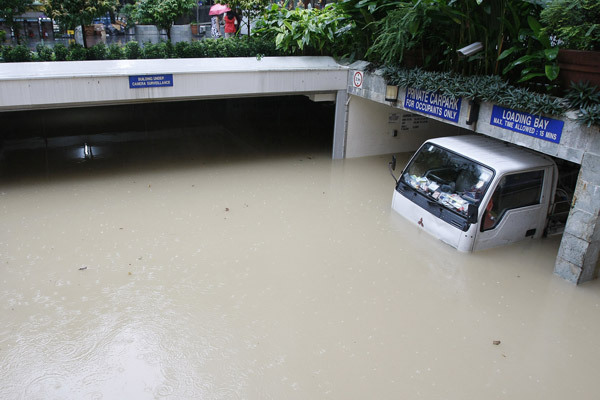 Over at Cluny Court's basement, the flood waters were knee-high, forcing the evacuation of about 15 cars parked there.